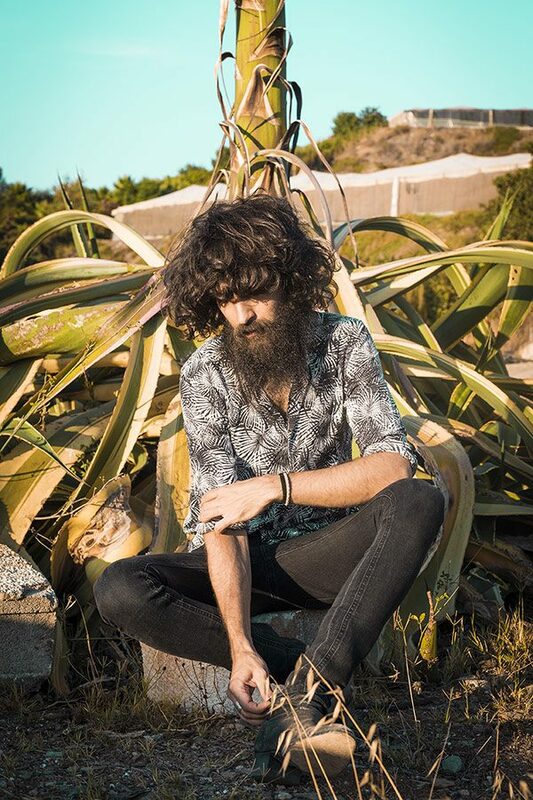 It´s been 4 years since his emblematic Camino Ácido (2014) and the unknown Ángel Stanich, who at the time had a strange voice and coarse hair and beard, became one of the strongest references of musical renewal and one of the most acclaimed by musicians, media and public. It´s been a magical time, with countless concerts and festivals, surprising everyone with that incredible personality sprinkled with film-like pictures, surreal inventiveness and irony. A journey underpinned by subtle generational hymns like Carbura! (Cuatro Truenos Cayeron, 2015), poisoned christmas (Jesús Levitante) or an exuberant EP (Siboney), that closed the cycle and opened the door to new and undreamed adventures, to the stunning universe of his last album, Antigua y Barbuda (2017). This second work started new horizons and a long tour with more than 50 gigs on venues and on 28 festivals over these months. Now, after a really epic summer and the editing of a new EP, Máquina (Vinilo 10”), with 4 unpublished songs, Ángel Stanich faces an End of the Tour from November.